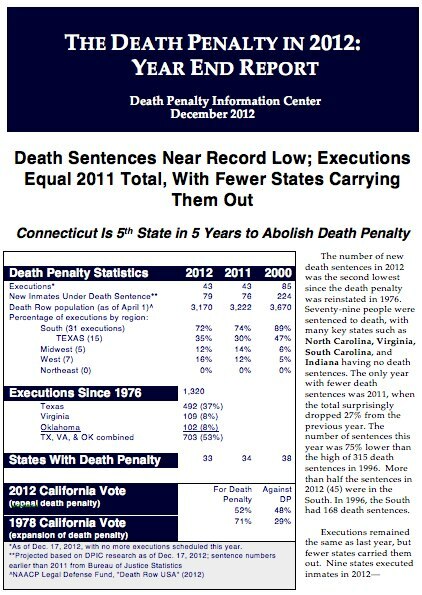 The Death Penalty Information Center has compiled its annual report on capital punishment in the United States. According to the DPIC, the four states of (Florida (21), California (14), Texas (9), and Pennsylvania (7)) accounted for 65% of the country’s death sentences. Texas, however, led the nation once again in the number of executions, with fifteen people being executed this year in the Lone Star State.